Here’s the SMART configuration alert. We’re going to go ahead and configure SMART. The SMART Scan requires that you connect to your server via FTP, SFTP, or FTPS. You can get this information from your host. It will look similar to this, either an IP address or FTP.yourdomainname, etc., a port number, user ID and password. The next thing you want to do is test the connection to make sure everything’s good. Sitelock is successfully connected, and now we just need to tell our scanner what directory has our WordPress installation. That’s going to be the HTML directory. We’ve chosen that. Root directory HTML. Let’s choose this is it. Smart Wizard has been saved. We go to the admin page and refresh it. You can see that your Sitelock account is connected to your WordPress site. A malware scan has already happened. The next thing you want to do is test the connection to make sure everything’s good. Sitelock is successfully connected, and now we just need to tell our scanner what directory has our WordPress installation. That’s going to be the HTML directory. We’ve chosen that. Root directory HTML. Let’s choose this is it. Smart Wizard has been saved. We go to the admin page and refresh it. You can see that your Sitelock account is connected to your WordPress site. A malware scan has already happened. We go to the admin page and refresh it. You can see that your Sitelock account is connected to your WordPress site. A malware scan has already happened. There are no issues found. If you toggle over to code, our platform scan has already run, and there’s no issues found. You’ll notice SMART Scan is now connected, but it shows it needs review. That’s because the scan hasn’t run yet. You’ll see over here the next scheduled scan. No scan scheduled. Next available is today. The free account comes with an on demand scan. Hover over the circular arrows and click scan now. That will initiate the SMART Scan. Check back in about an hour and the SMART Scan will have run. The scan is complete, and as indicated by the green dot, no issues were found during this scan. If any malware or vulnerabilities are found, we’ll alert you. If you don’t have the Sitelock Security plugin yet, head on over to plugins, add new, and search Sitelock or go to WordPress.org/plugins/sitelock. 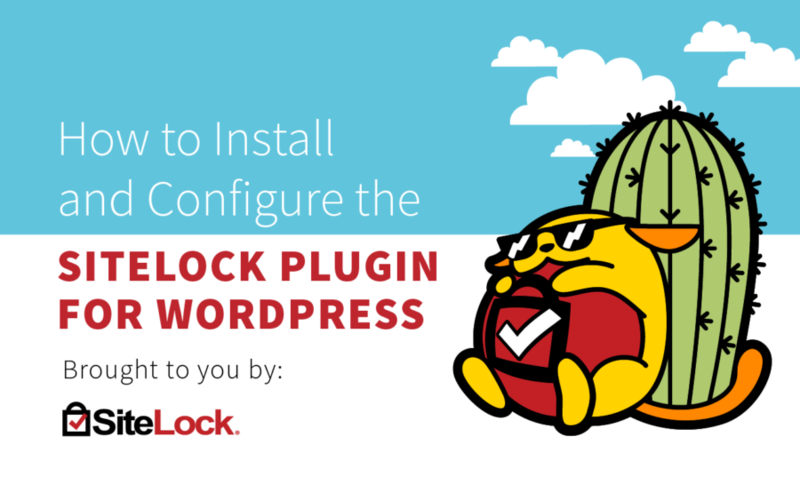 Simply search for “SiteLock” within the Plugins->Add New area of your WordPress website and start securing your website today. Follow our WordPress blog, the District, for more helpful hints on managing your plugins.